The Worship Ministry of First Baptist Pelham is a vibrant representation of the body of Christ. Through our multi-generational approach to worship, we believe God has called many to sing, some to play instruments, and others to train children, youth, and adults to lead worship. We are brothers and sisters in Christ who love, care, and encourage one another. Whatever your talent level, you’ll find a multitude of opportunities to use your gifts for the Lord within our Ministry. We desire to equip every believer to respond to God with heart-felt, Spirit-empowered service. 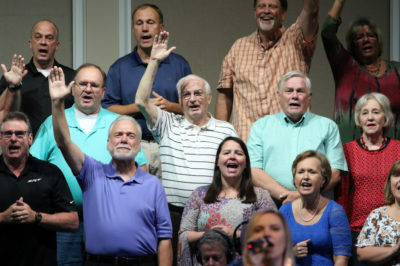 Our worship choirs span all generations. 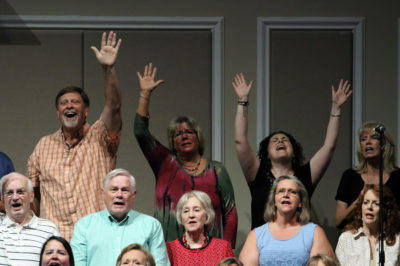 From children to adults, we have a worship choir experience for everyone. The choir sings every Sunday for the 9:15 and 10:45 am services. Our goal in Children’s Choir is to provide a learning & growing experience that is exciting and relevant for each age group. 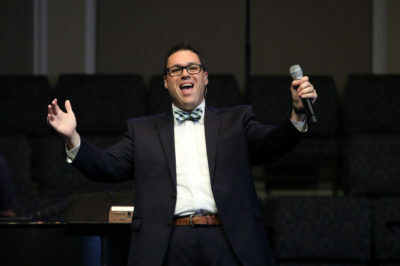 Our choirs have multiple opportunities to share their talents and to lead the church! Rehearsals are on Wednesday’s from 5:30 – 6:15 pm in the Music Suite located on ground floor of the Worship Center building. Rehearsals are on Wednesday’s from 6:30 -7:45 pm in the activities room located on the second floor of the children’s wing. Our praise team ministry is open to active members of the choir. This is an auditioned group. Not a singer? No problem!!! We have a place for you to use your instrumental talents! Our Praise Band helps to lead worship in our weekly services at 9:15 & 10:45 a.m. This group is open to advanced high school students and adults with worship band experience.